I’ve always been drawn to works of speculative fiction that offer a critical reflection on the genre itself, works that acknowledge the vast back-catalogue of texts that have informed and influenced their creation whilst simultaneously paying homage to these texts. 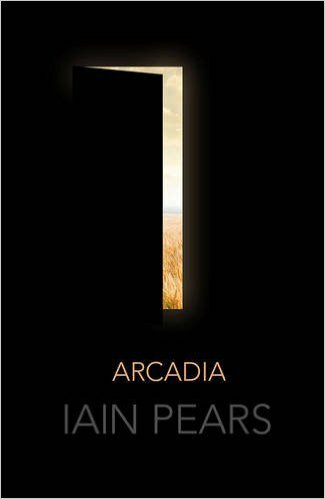 Iain Pears’s Arcadia (2015) is a novel that straddles the ever-decreasing divide between speculative fiction and literature. Pears brings a gravitas and poignancy to his subject, whilst creating a vivid homage to both the pastoral comedies of Shakespeare and the epic fantasy works of Tolkien and Lewis. Arcadia is one of those rare books that demonstrates awareness of the long pedigree of fantasy and science fiction that have preceded it. Not only does Pears acknowledge his influences, but he prompts critical discussion about their legacy. The novel also functions as a work of experimental writing: the story was originally conceived as an interactive app, allowing the reader to choose their own path through the narrative. Arcadia has an ambitious plot. In the basement of a professor’s house in Oxford, 1960, young Rosie Wilson goes searching for a missing cat, but instead finds the portal to another world. Anterwold is an idyllic fantasy world of sun-drenched fields and gloomy forests, where traditions are upheld by wise Storytellers. But Rosie has heard of Anterwold before – it is the setting of a fantasy novel being written by Professor Henry Lytten, who has no idea that the world he has been writing about exists in his basement. Meanwhile, in a dystopian future ruled by a scientific elite, a scientist discovers the secret to time travel, but realizes that it has potentially devastating consequences. She must flee into the past to prevent her research from falling into the wrong hands. The narrative jumps between Anterwold, Oxford, and the dystopian future. Although the science of time travel isn’t a large focus of this novel – remaining in the background whilst Pears focuses on plot – his conception of time travel is quite sophisticated, drawing on quantum physics to collapse the distinction between cause and effect. The past and future are depicted as malleable states. As characters begin moving between these settings, the consequences of their actions are felt across all three worlds. We are left waiting until the very last page for Pears to finally answer the most important question – does Anterwold represent our future, or our past? Pears’s overlapping plot threads necessitate a varied cast of characters. Rosie seems destined to undergo a Campbellian Hero’s Journey, but a twist in her journey means that her story goes in two directions simultaneously. Henry Lytten isn’t just an Oxford professor – he was a member of British Intelligence during the Second World War and still does occasional missions, allowing Pears to write a few chapters set against the background of the Cold War that feel like espionage thrillers. Angela Meerson, the scientist from the future, is probably the most interesting character. Her enhanced cognitive abilities are fuelled by her emotional states, meaning that she must subject herself to heightened emotions in order to gain deeper insights into her research. This is depicted as a disability as much as an enhancement. The variety of settings and characters allows Pears to embrace a fluidity of genre. At various points, Arcadia feels like a mix between the fantasy worlds of Lewis and Tolkien, the spy novels of Ian Fleming, and the bleak dystopian visions of George Orwell. The science-fictional elements are integral to the plot and resolution, but they don’t intrude too heavily into the main narrative, and Pears does a good job of explaining abstract quantum theories in easy-to-comprehend terms. It is also bursting with intertextuality. The drama in the forests of Anterwold, with aristocrats disguising themselves as servants, and women dressing as men to confuse their suitors, is a deliberate reference to Shakespeare’s As You Like It – a homage emphasized by the names of the characters. There’s also plenty of references to the works of Lewis and Tolkien, especially as Lytten reflects on the practicalities of their respective fantasy worlds. Pears doesn’t hesitate to draw our attention to these homages: the numerous literary references strewn throughout the landscape of Anterwold are due to Professor Lytten channeling his wistful affection for pastoral stories (among others) into the creation of his imagined world. It is the sort of idyllic vision dreamed up by a fantasy writer as an escape from the horrors of the Second World War. The title Arcadia is borrowed from the unfinished sixteenth-century prose work by Sir Philip Sidney, and Lytten’s description of this work – “an imaginary landscape of perfection, a soft dream of warm evenings with chuckling streams and dappled sunlight playing through the leaves of a forest” – simultaneously functions as a description for the landscape of Anterwold. Pears has written these scenes in such dreamy, loving detail that it’s easy to understand his passion for pastoral narratives. It is also a novel that makes a critical statement about worldbuilding. The first few scenes in Anterwold feel underdeveloped and vague, lacking in the sort of rich details that we have come to expect from fantasy authors. Yet it becomes clear that this is a deliberate choice by Pears. Anterwold begins as a framework, a mere template of a fantasy landscape that is limited by the scope of Professor Lytten’s imagination. The finer details are absent because Lytten hasn’t imagined them yet. It’s only when Rosie crosses into Anterwold that its landscape and history begin to gain the depth and colour that we expect from fantasy worlds. 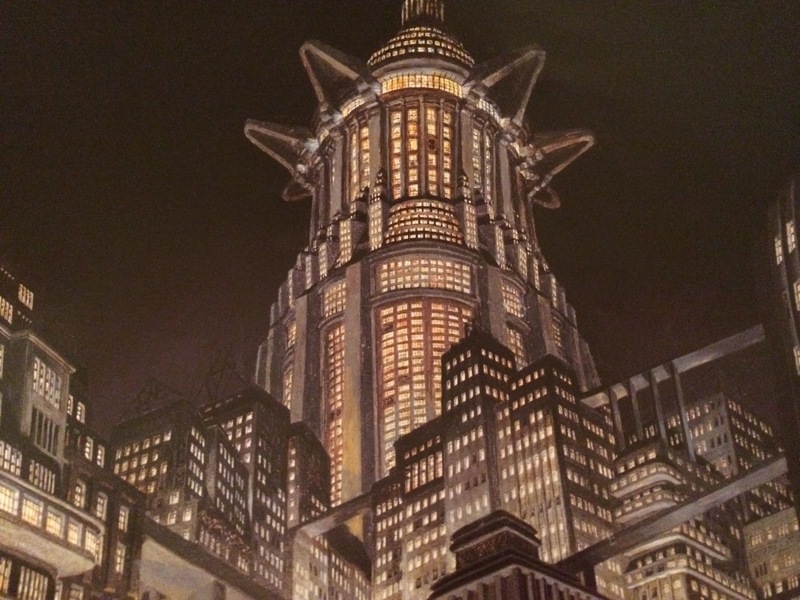 In this way, Arcadia offers a critique of worldbuilding. The construction of Anterwold – from stagnant portrait to dynamic landscape – invites us to reflect on the internal logic that governs fantasy worlds. Lytten himself frequently cites Narnia and Middle Earth as examples, pointing out their internal inconsistencies and the sheer imaginative complexity in each of those works. Pears is an author who has given a lot of thought into what it takes to build a consistent fantasy realm. Yet despite this vast number of influences, Arcadia never feels derivative or unoriginal. It is a melting pot of sources, a commentary on the wider landscape of speculative fiction. It juxtaposes the utopian vistas of Anterwold with a dystopian vision of the future; it speaks to our desires as well as our fears. Pears designed Arcadia to be experienced foremost as an app; although the print publication maintains the novel’s integrity, it does detract from its inventiveness. In an article written for The Guardian, Pears explains that he was drawn to the app concept because he felt he had reached the limit of storytelling in book form. Pears’s format bypasses the limitations of a traditional linear narrative structure, allowing readers to choose which strand of the story they want to follow. Each reader will therefore have a different experience. It is reminiscent of the old Choose-Your-Own-Adventure stories that I enjoyed as a child, albeit on a much more complex, far more literary scale. And whereas the narrative strands in Choose-Your-Own-Adventure stories often resulted in the protagonist’s untimely death, Pears has the additional complication of tying every thread through to the end of the novel. Given the sheer variety of parallel plotlines, I imagine this must’ve been a nightmare for Pears to design. Whether these sort of interactive novels will become a popular genre of their own remains to be seen, but Pears has set a high standard with Arcadia. I am very excited to be interviewing Iain Pears (and Félix J. Palma) at the Perth Writers Festival on Saturday, 20 February. Details of the event can be found here. Previous Post: Return to Pandora?